Sharon is the President of Professional Adjusting Services, Inc. a/k/a PASI which opened up in August of 2004. Her goal was to establish a family-owned, independent adjusting firm that could offer a higher level of adjuster expertise on day-to-day homeowner and commercial losses. With a total of 12 years of industry experience, Sharon understands the importance of providing qualified adjusting resources and superior work product to the insurance industry. PASI is a multi-faceted IA firm which operates in a family-like atmosphere, by promoting personalized service for our clients and an excellent work environment for our employees. 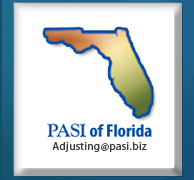 Focusing on building long-term relationships with our clients, allows PASI to adapt adjusting resources and expertise to meet the ever changing needs of the carriers. In addition to the day-to-day operations, Sharon concentrates on business development, contract negotiations and implementing company procedures in multiple states including Florida, Georgia and Texas. Cat is the Vice President of Professional Adjusting Services, Inc. a/k/a PASI and as Sharon’s eldest daughter, has helped develop the company for over 6 years. The past three years she has been a driving force behind the day to day operations and continuously focuses on surpassing client expectations. 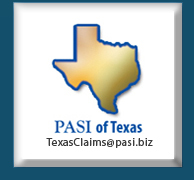 Cat is a licensed adjuster and has been an integral part of PASI’s business development for several years by managing numerous carrier accounts and fulfilling the client’s specific requirements. In addition to running day-to-day operations here in Florida, she helped organize and establish the subsidiary businesses PASI of Georgia and PASI of Texas. Cat graduated from Florida State University and played on their collegiate volleyball team. As a client liaison at Professional Adjusting Services, Inc. a/k/a PASI, Kim is responsible for business development, marketing strategies and developing claims guidelines for our clients. 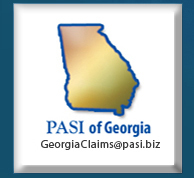 Kim is a licensed adjuster and her focus is on building long-term relationship with PASI’s current clients along with cultivating new relationships with insurance carriers, TPA’s and law firms in Florida, Georgia and Texas. Kim is also Sharon’s daughter and joined the family-owned business with several years of experience in business development. As a graduate from Rollins College, Kim majored in Psychology with a minor in International Business and played on the Rollins Volleyball team.